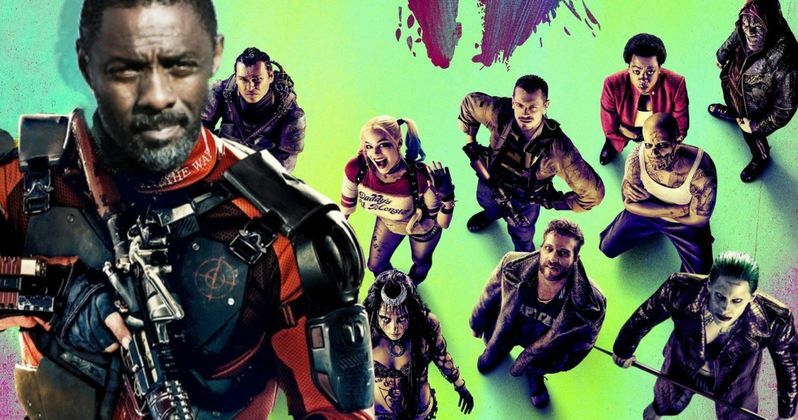 It's beginning to look like Idris Elba is going to be the actor to replace Will Smith in James Gunn's upcoming The Suicide Squad. It has been reported more than a few times that Gunn was going to focus on some characters that weren't in the first Suicide Squad movie in 2016, so DC fans were not very shocked to see that Smith had exited. However, it looks like Deadshot was always going to be a part of Gunn's story. According to sources, Idris Elba is in talks to play Deadshot in The Suicide Squad and has already met with James Gunn. Elba is reportedly the only name that Gunn wanted to come on board and replace Will Smith. It's believed that the talks between the actor and director went well, which means that Elba could be switching sides from the Marvel Cinematic Universe to the DCEU. It's important to note that this has yet to be officially confirmed by the studio at this point in time. It was originally falsely reported that Don Cheadle was going to take Will Smith's place in The Suicide Squad. Some fans were not very happy about the studio's supposed choice and aired their frustrations on social media. Cheadle noted that more than a few people declared that he would "f*ck" the movie up and laughed at the erroneous reporting. "I'd seriously be crushed if it wasn't so funny," said Cheadle on social media. Cheadle is gearing up to start the promotional campaign for Avengers: Endgame and will probably have to do a lot more talking this time around since half of the cast has been Decimated. As for Idris Elba, he recently wrapped production on the Fast and Furious spin-off Hobbs & Shaw. Elba is playing the villain in the movie and it appears that he has supernatural strength, which initially rubbed some fans of the franchise wrong. However, this is the Fast and Furious franchise that we're talking about here. There have been rumors about going to space and fans have been totally okay with that bizarre decision. Elba will also be appearing in the upcoming big screen adaptation of Broadway's Cats. While working on Hobbs & Shaw, Idris Elba's co-stars had nothing but the best things to say about the actor. Dwayne Johnson and Jason Statham were very happy to have Elba on board to lift the production up with his acting abilities. Johnson is a great entertainer, but he's not really known for his acting prowess, according to Dave Bautista. The Suicide Squad is all set to hit theaters on August 6th, 2021, so it makes sense that the casting process is taking place now. In addition to Deadshot, it is believed that Margot Robbie's Harley Quinn will also be returning. The Hollywood Reporter was the first to reveal that Idris Elba is in talks for The Suicide Squad.